Few would argue that kicking the smoking habit is not beneficial to your health. From coughing less to lowering your chance of heart disease and contracting numerous types of cancer and ultimately prolonging your life, quitting smoking lessens the hazards to your health on too many levels to mention. The global disease burden exacted by smoking is gargantuan. As of 2015, reports the World Health Organisation, direct tobacco use is responsible for over five million deaths every year among the estimated one billion smokers globally. Whilst lowering the risks of cancer and preventing premature deaths are two direct benefits of smoke cessation, the indirect advantages are multiple too. Although smoking employees could claim certain advantages, such as taking more frequent breaks (and hence avoid excessive sitting) and catching up on office gossip, kicking the habit does hold numerous benefits for workers. These benefits are often also under-reported compared with the more general benefits associated with quitting smoking. First off, it improves your productivity. In a 2017 study published in the International Journal of Clinical Practice it is argued that higher work productivity when smokers quit has led some employers to invest in smoking cessation programmes, often including pharmacotherapy and behavioural interventions. 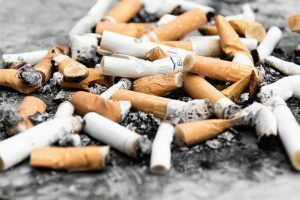 One of the biggest impacts of smoking on workplace productivity is the issue of absenteeism, according to the anti-smoking website Tobaccofreelife.org. All employees are bound to take sick days, but evidence shows that this is more likely to happen to smokers than non-smokers. For instance, a study examined a large group of workers and compared the productivity losses between smokers, former smokers and current smokers. The results are rather staggering: While non-smokers miss an average of 35.2 hours per year by being absent from work, current smokers miss 53.6 hours annually. This is not even the whole story. At the same time, the study looked at “presenteeism” – which is when an employee is at work but unproductive due to health issues. And as expected, smokers suffer disproportionately more from presenteeism than non-smokers. “On average, non-smokers lost just less than 43 hours per year due to presenteeism, but for smokers the figure was 76.5 hours per year, almost 80% more than non-smokers,” reports Tobaccofreelife.org. Another study of more than 14 000 Swedish workers found that on average smokers took almost 11 days more sick leave than non-smokers, reports CNN. Of course, the issue of smoke-breaks inevitably arises. As mentioned above, smoke-breaks could provide much-needed frequent breaks and facilitate casual talk about work-related matters and socialising that would otherwise not really be possible. But long and excessively frequent smoke-breaks will unavoidably lead to less work being done and even major work disruptions. It could serve as a feeble excuse for inane chatter and simply avoiding work. And smoke-breaks are used for, well, smoking cigarettes – which is bad for you. It is plain to see that numerous benefits accrue to both employees and employers when workers quit smoking. The question is: How will society get smokers to do this without completely prohibiting smoking and encroaching upon individual choices? Christine L. Baker et al., 2017, “Benefits of quitting smoking on work productivity and activity impairment in the United States, the European Union and China”, International Journal of Clinical Practice, https://www.ncbi.nlm.nih.gov/pmc/articles/PMC5299499/#ijcp12900-bib-0001. CNN, 1 August 2007, “Smokers drag down a workplace, study says”, http://edition.cnn.com/2007/LIVING/worklife/08/14/cb.smokers/. Tobaccofreelife, 2016, “Smoking in the Workplace: Why Quitting Benefits Everybody”, https://tobaccofreelife.org/resources/smoking-workplace/. World Health Organisation, 2015, “Tobacco 2015”, http://www.who.int/mediacentre/factsheets/fs339/en/.